Adam Foster has been detained in Dubai since his arrest on February 26. He is charged with stealing police handcuffs. 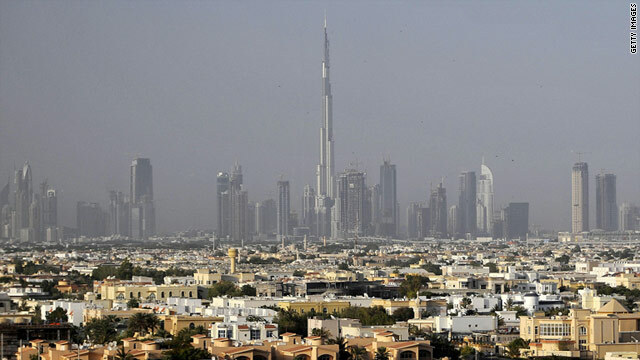 (CNN) -- An American detained for more than two months in the United Arab Emirates faces up to seven years in prison for stealing police handcuffs, an allegation he says he only confessed to after being tortured. "It's hard to be hopeful at this point," Foster told CNN by telephone Thursday from Dubai, where he has been detained since his February 26 arrest. "I don't want to think I'm going to be getting out of here in a few days and then find I have to stay for seven years." But investigators claim Foster stole a pair of official police handcuffs during questioning in an unrelated matter at a Dubai police station the night before was due to leave the city, according to his attorney, Yousuf Khalifa Hammad. Foster has said it was a coincidence, saying he was brought in for questioning because he was in possession of a bottle of Korean rice wine -- a parting gift from colleagues. He was released without charges. "I was thinking 'souvenir,'" Foster said. "They were lying on the ground. So I picked them up." Foster claims he was told to take off his shoes and socks, and handcuffed to a chair while one of two officers used a coil to whip the bottom of his feet. He also said he was punched in the face. "The pain was unimaginable," Foster said. "So I told them I did it. I told them 'I'm sorry.'" Foster said he then signed a confession written in Arabic. "I have no idea what it said," he said. Hammad said there is little recourse for Foster as there were no witnesses to the alleged torture, though court documents show he initially said he was innocent, confessed and then recanted. "It is up to the judge to consider this," Hammad said. Foster said he recanted his confession after he was released from jail. He said he did not tell U.S. consular officials who met with him while he was in jail nor did he file a complaint against the officer in the case because he was afraid he would be beaten again if he professed his innocence. Robert H. Arbuckle, a public affairs officer at the U.S. Embassy in Abu Dhabi, declined to comment because Foster had not authorized consular officials to act on his behalf with the media. The U.S. Embassy strongly advises travelers to the UAE and those transiting through the country to avoid carrying any type of law enforcement or security item, including weapons, body armor and handcuffs, according to its web site. It warns that people caught carrying such items will face criminal charges. "I don't understand how they can do this?" Foster said. "How can they put me away for seven years with no proof whatsoever?" Foster has been living at a Dubai hotel since authorities released him on March 1. In lieu of bail, UAE officials confiscated his passport to ensure he would appear in court, Hammad said. Nearly 1,000 people have appealed to Yousef Al Otaiba, the UAE ambassador to the United States, and Jeffrey D. Feltman of the State Department's Bureau of Near Eastern Affairs to intervene on Foster's behalf. "I urge you to do everything in your power to ensure Adam is treated fairly on May 19 with consideration of his illegal torture and coerced confession," according to a sample letter posted on Facebook. "Americans all over the world are counting on you and the State Department to speak boldly in opposition to human rights violations." Hundreds of others have posted messages of support. "Imagine yourself in his place for about five minutes. Then do something to help him," urges Facebook user Bruce Varner. Foster said he was hanging on to hope that the letters from friends and family might make a difference in his case. Last year, UAE authorities detained Nicholas Moody of Nevada for more than three months on charges of possessing weapons accessories -- parts that could accompany a gun, though no firearm itself. Moody was arrested during an 18-hour layover in Abu Dhabi while heading back from Iraq. A judge later dismissed the charges. CNN's Jill Doherty contributed to this report.